Mardi Parelman is a writer and certified health coach based in San Diego, Calif. She has published papers in scientific journals and has taught courses in nutrition and dietetics. Parelman earned a master of science in human nutrition from Kansas State University and a doctorate in nutritional biology from the University of California, Davis. In nutrition, “chromium” refers to the biologically active form of chromium present in food and used by the body. Chromium picolinate is a supplemental form of chromium. Like many minerals, chromium is difficult to absorb. Binding it to an organic compound like picolinate may help the body absorb chromium more easily. Researchers are focused on understanding the potential role of chromium in insulin resistance and Type 2 diabetes. Consult with your health care provider before taking a chromium supplement. Chromium is found in a variety of foods including fruits and vegetables, whole grains, and lean meats. Chromium needs differ throughout the life span. The adequate intake for adults ages 19 to 50 is 35 micrograms per day for men and 25 micrograms per day for women who are not pregnant or lactating. The AI for adults over 50 decreases to 30 micrograms per day for men and to 20 micrograms per day for women. A serving of most chromium-containing foods provides 6 percent to 10 percent of the AI for adults. 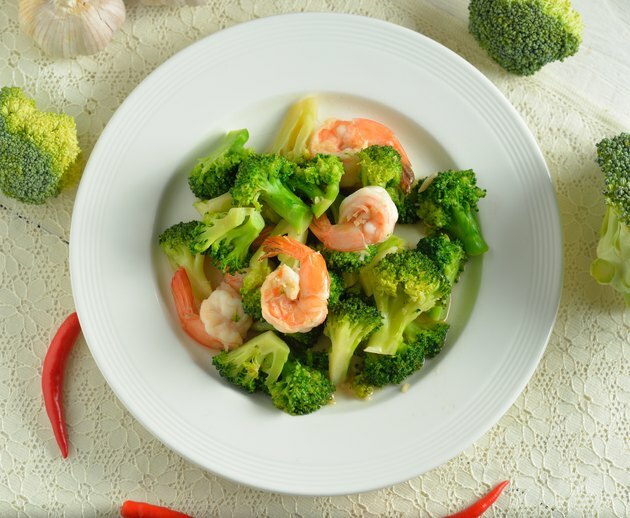 A 1/2-cup serving of broccoli, with its high chromium content, provides 31 percent to 55 percent of the adult AI. Chromium picolinate, chromium chloride, chromium nicotinate and chromium citrate are types of chromium supplements. These can be purchased as individual supplements or as part of a multivitamin and mineral complex. Supplements generally provide anywhere between 50 micrograms and 200 micrograms of chromium per serving. It is not known how much chromium is absorbed from supplements or if any one supplemental blend has a higher absorptive potential than another. Results of a 2012 study in "Biomaterials" revealed that supplemental chromium may better absorbed than dietary chromium, but the different types of supplements may all be absorbed equally well. Chromium supplements may interfere with numerous medications. In cells, chromium binds to a protein called chromodulin. When this happens, complete chromodulin complexes form that may interact with insulin receptors. Insulin -- a hormone produced and secreted by specialized cells in the pancreas -- tells cells that energy in the form of blood glucose is available to them. Insulin communicates by binding to insulin receptors located on the surface of cells. Scientists speculate that when chromodulin is full of chromium, it interacts with insulin receptors in a way that enhances how well cells respond to insulin. As a result, cells may pick up more glucose to use as well as synthesize and store more energy. Insulin increases glucose uptake, promotes the storage of glucose in muscle and liver cells, promotes the synthesis and storage of fat in fat cells and increases protein synthesis. Because chromium may increase the action of insulin, there is a lot interest in chromium supplements. In 2011, a study in "Endocrine Practice" reported that 500 or 1,000 micrograms of chromium picolinate supplements did not improve glucose tolerance or insulin sensitivity in people at high risk of Type 2 diabetes. Other studies have found similar results.